Size: 2T, Color: Brown is currently out of stock! Includes; Jumpsuit with muscle torso, headscarf, waist sash, and boot covers. Moral or immoral as this doesn't matter when people see Pirate character with amusing look and smile never leave their faces. Pirates are really notorious villains in real life and in reel life but they always grab maximum attention from everyone. 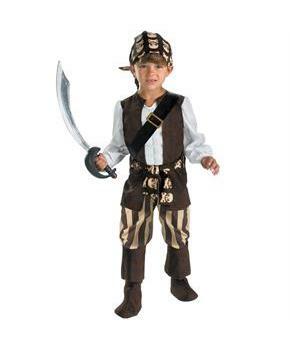 Dress up like a ruthless pirate with honorable motives and be a show stopper in the party. Give him a special gift of his favorite character's costume. Boys got huge imaginations and creative minds. They look for same in their party costumes. 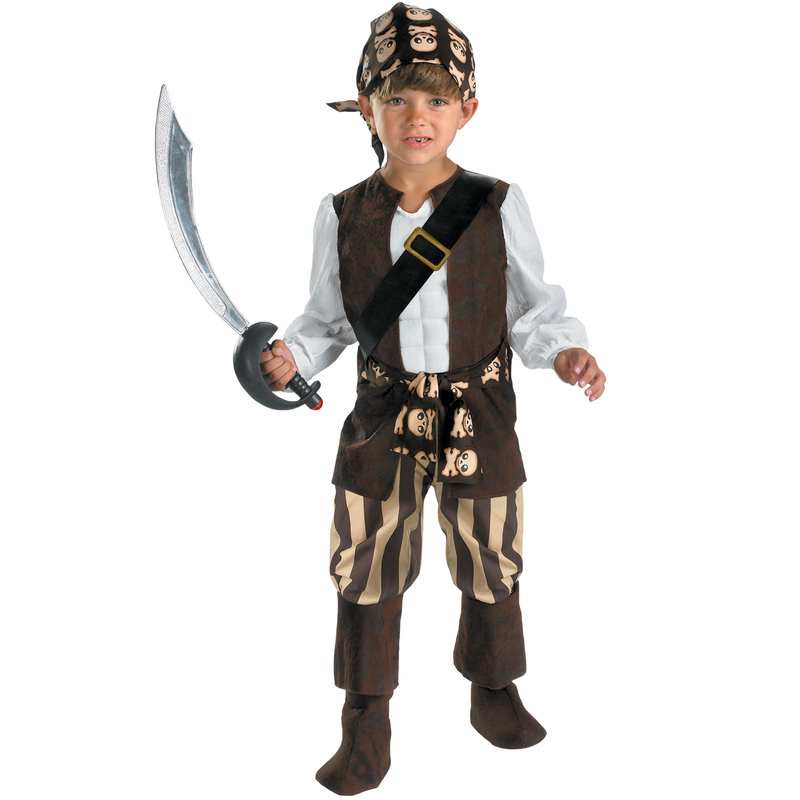 Dress up like an iconic legend in our Rogue Pirate Toddler costume. Care Instruction: Hand Wash Cold Separately, No Bleach, Line Dry. Cool Iron if Necessary, do not Dry Clean.